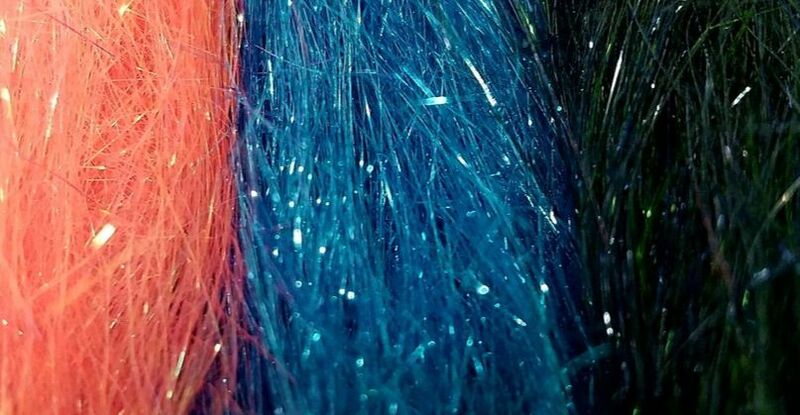 Angel Hair is a super fine flash that has the movement of marabou. 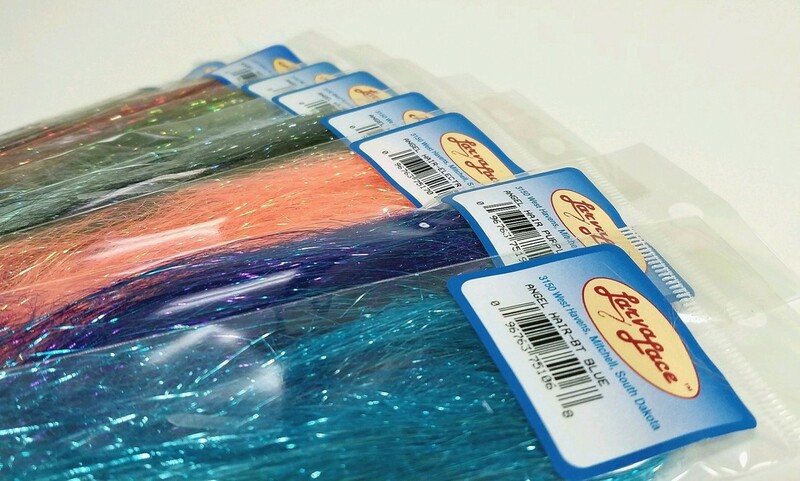 It also has the strength to withstand any type of tying and fishing. Coming in a large range of colors it will fit any use you have for it. 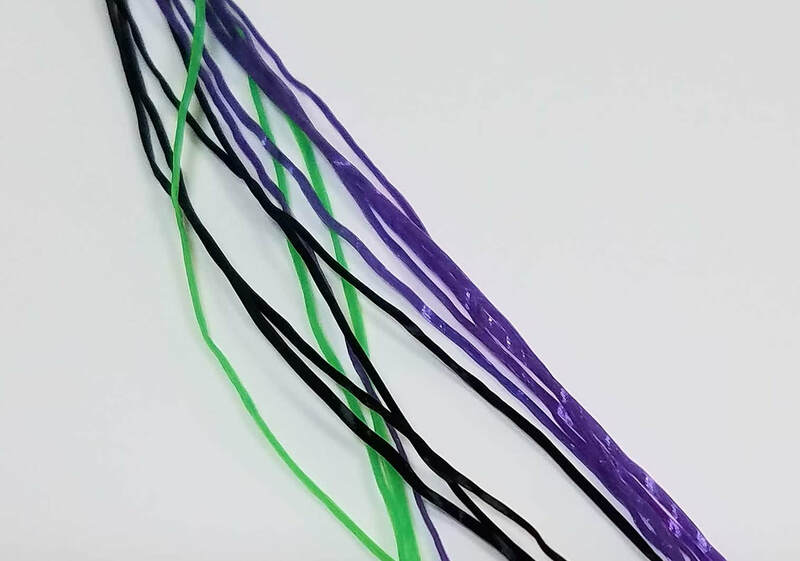 Super Floss is a very stretchy silicon that every tier must use at least once in their life, because if they do they will love it. this elastic material is the best bug leg material out there, giving lots of movement in the water. Even then you can use it as a body wrap like floss for bugs. being so stretchy it can withstand lots of pulling and wrapping pressure. 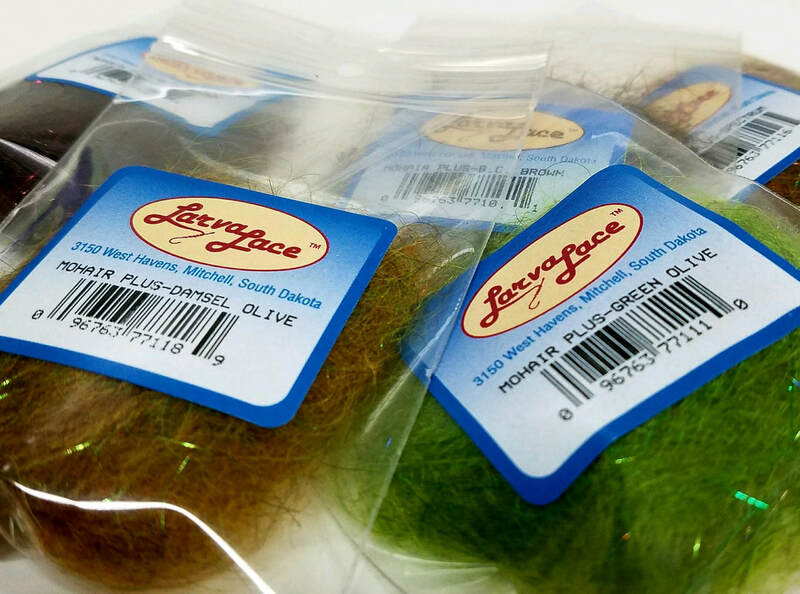 Pull it tight for small fly bodies, or bring life to your nymphs and dries with legs. 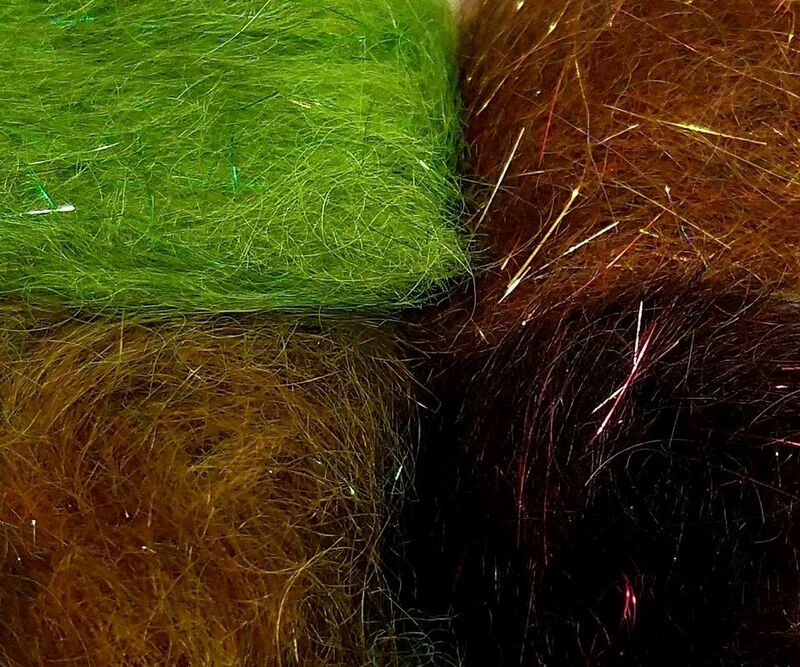 Mohair+ dubbing is a perfect blend of Mohair goat and Angel Hair. 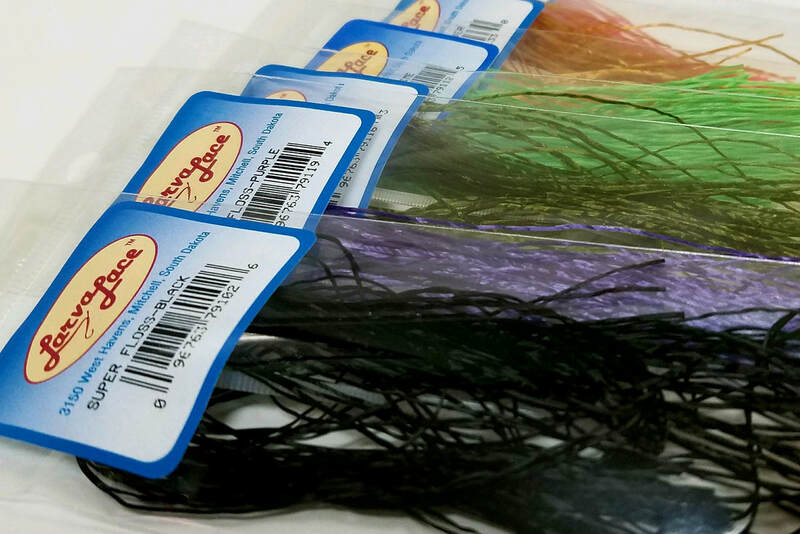 This long fiber dubbing is great for putting into dubbing brushes and loops for streamers and leech patterns. perfect for such flies as the Balanced Leech. Need something for bugs as well? Mohair works perfectly for all bug patterns.